LG's next flagship device, the LG G4, will be unveiled at a media event on April 28th. The manufacturer has started sending out invitations for the event telling recipients to "Save the Date". 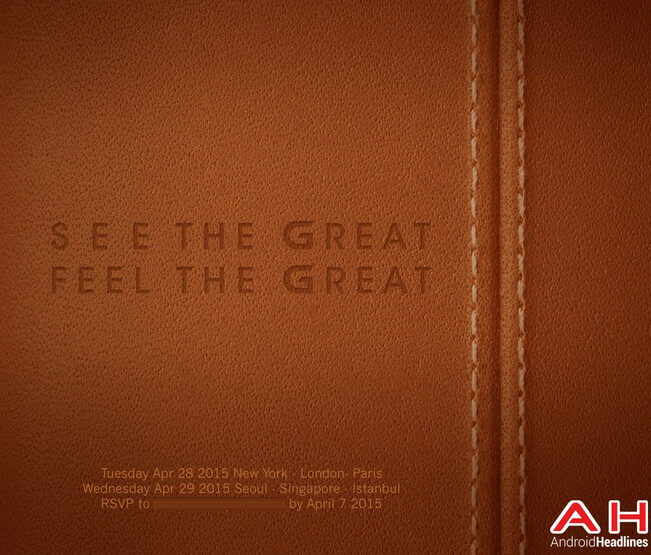 On the front of the invites, LG says to See The Great, Feel The Great. The event will be held in New York, London, Paris, Seoul, Singapore and Instanbul. Because of the time difference, it will actually be April 29th in the latter three countries when the event starts. Rumored specs for the LG G4 have been all over the map this year. 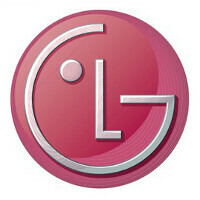 Part of that is due to the premium phablet that LG is rumored to be launching in the second half of the year. The LG G4 Note is expected to feature an LG G Pen stylus similar to the S Pen that comes with the Samsung Galaxy Note 4. If the speculation turns out to be legit, LG plans on going right after the Samsung Galaxy Note series with its own top-shelf phablet. We can expect LG to continue using a plastic build for the LG G4, although the G4 Note is rumored to feature a premium metal design. Also remaining on the LG G4 is the 1440 x 2560 QHD display it introduced last year with the LG G3. One change can be found under the hood where the Snapdragon 808 chipset will be found. As we pointed out to you earlier today, this is a 64-bit hexa-core CPU with four ARM Cortex-A53 cores and two ARM Cortex-A57 cores. The Adreno 418 GPU handles graphics. Earlier this year, LG refuted the gossip about the overheating Snapdragon 810, but perhaps there is another reason why LG is turning to the Snapdragon 808 for the LG G4. The Snapdragon 810 is probably reserved for LG's next flagship phone and that appears to be the LG G4 Note. While you can't tell the players without a scorecard, you can be sure of one thing. Whatever questions you might have pertaining to LG's high-end models this year, they will be answered on April 28th. The only flagship that will compete with the S6. true. other phone using sd 810 rightnow will have a problem especially in the battery performance. like ; htc m9 and lg g flex2 and the upcoming xperia z4. i know the g4 is an elegant phone even better than g3 . g3's 13mp is already satisfied me and now latest 16mp will surely do even better. 8mp front camera is a big deal and the smaller bezels are welcome to me. kudos lg! LG won't mess thing up like Sony and HTC. If the SD810 is the real culprit here, LG won't release the G4 with it, probably with the NUKLUN home-grown that they have been developing for a while. one important concern by lg is the battery performance that's why they choose sd 808 over sd 810. No, it's not a S6 direct competitor. The G4 would be a runner-up after the king Galaxy S6/S6 edge. Yet it's still pretty closed to the king though. lg is giving way to samsung. atleast for now s6 edge is the phone to beat. and yes g4 would be the runner up until the g4 note arrive. I'm honestly not interested in anything with an 810. It's suppose to have the 808 chip. And how much of an upgrade is that chip from the 801 in the G3? The S6 is the only phone out there that has next gen internals. you are indeed correct, atleast for now. since sd 810 has facing some issues. From the invitation,perhaps LG is trying to give a clue that the back of the phone will be faux leather? Hopefully swappable backs with different material like the OnePlus and Xiomei were originally supposed to be.http://www.phonearena.com/news/Check-out-Xiaomi-Mi-4s-swappable-back-covers-here_id58474 I'd say there's about a 0.01% chance of that happening though. Got the update, it's gonna take some getting use too, there are things I don't like....lol figures. Hey LG, where is my Lollipop update for LG G Pro Lite Dual-Sim? If you don't care for your current customers, expect that I will not buy LG phone the next time! Anybody here who can suggest phone brand that promptly updates Android OS? Thank you. I had the G2, and have the G3...Not sure what I want next...G4? G4 Note? G Flex 3? I'll be paying attention on April 28th. Maybe that'll clear things up for me.